This weekend, hundreds of thousands of people are marching all over the world to represent a movement for climate justice. On Nov. 29, the eve of the UN Climate Summit in Paris, groups will gather in major cities across the globe to participate in the People’s Climate March. The UN conference is expected to be the largest and most crucial global climate summit of this decade. During the two-week meeting, leaders hope to reach a deal on how to prevent global warming. Despite the recent tragedies in Paris, city officials insisted the attacks would not impact the conference itself, which more than 140 major world leaders are expected to attend. “What powerful rebuke to the terrorists it will be when the world stands as one and shows that we will not be deterred from building a better future for our children,” President Obama said at a joint White House news conference with French president Francois Hollande. However, French authorities have banned the portion of the march to take place in Paris, citing concerns stemming from heightened security measures taking place throughout the city. Environmentalists were preparing for more than 200,000 activists to participate in the Paris march. Some of those participants are preparing to defy the ban, according to the Sydney Morning Herald. The organizers of the Paris march have spoken out about the necessity of the ban and urged global participants to march “on behalf of those who can’t”. In last year’s People’s Climate March, 700,000 people worldwide took to the streets to advocate for swift action in response to climate change. This year, the number of people involved is expected to exceed that number. In fact, an organized march will take place Sunday afternoon in Prince George’s County. Organizers expressed a desire to show solidarity with the global movement, while acknowledging the enormous task at hand. “We have this huge world problem. It’s a metaphysical problem as much as it is a very physical problem, and people don’t necessarily know what activities they can do both small and large to have a measurable impact,” said organizer Kyrke Gaudreau in an interview with the Prince George Citizen. The participants will march in union with more than 2,400 other marches being conducted this weekend. “Regardless of what the politicians decide in Paris, this year we, the people, are driving the urgency for action everywhere,” the Global Climate March website states. BigBelly Solar, a renewable energy waste-compacting trashcan company, will partner with Hyattsville’s Environment Committee, as a way to mitigate the city’s littering problem. 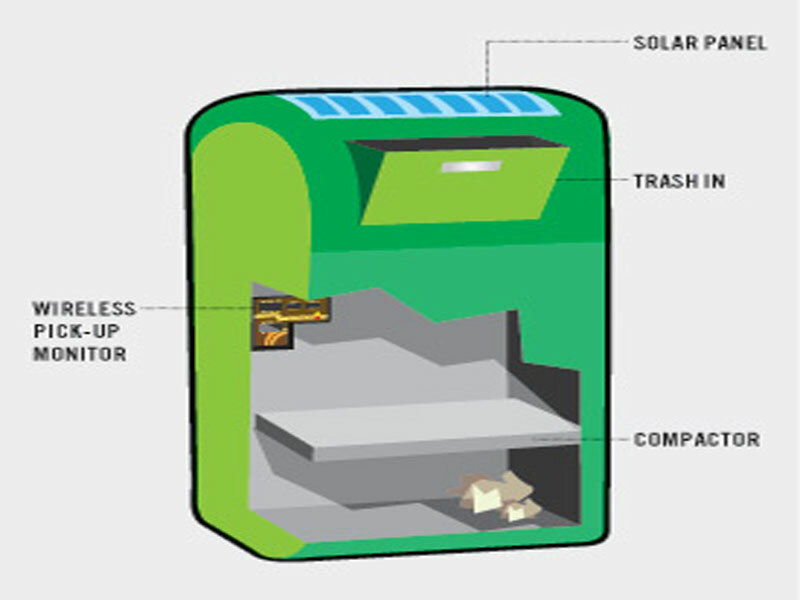 As large and enclosed solar-paneled containers with Wi-Fi, BigBelly trash cans compact garbage, convert the compiled trash into compost on site and then send a text message to sanitation workers when full for pick up. While the trash compactors are already present in major cities such as Philadelphia, Miami and New York, Hyattsville will be the first city in Prince George’s County to install BigBellys. In addition to commercial parts of Hyattsville, Environment Committee Chair Jim Groves said the committee wants to place the bins in parks to eliminate overflowing trashcans. According to Groves, trash blowing everywhere on windy days can create huge problems for the city’s playgrounds and green life.